The grapes are carefully destemmed and left to cold macerate. Next, the fruit is soft crushed. The must is then cleared by allowing it to settle and then fermented in stainless steel tanks with yeasts selected in Friuli. After three days, the wine is racked into oak casks where the alcoholic and malolactic fermentation is completed. The wine matures in oak casks where yeast lysis took place. In July 2012 the wine was bottled. Tertiary aromas will develop over the years to come. Nose: elegant, smooth, intense, complex and very persistent; sensations of fruit, flowers, spices and minerals are perfectly integrated; they combine with notes of hyacinth, melon, apricot, lemon balm, sage, almond, vanilla, pine nut, caper, orange blossom, wild rose, citron and rose grapefruit. Mineral notes enhance the wine’s complexity. Palate: broad, embracing, structured, harmonious and long. The wine is voluminous and smooth, with aromas of pineapple and spice; you immediately feel its outstanding structure, with notes of hazel nut and pine nut. 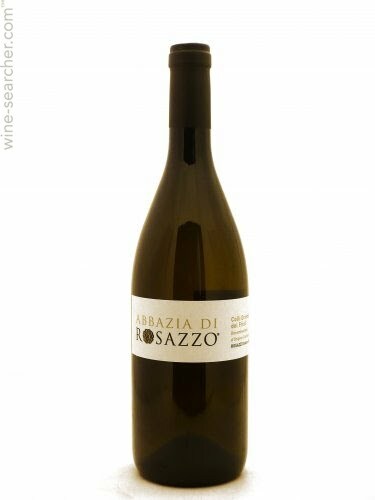 Sweet almond notes on the finish – typical of Friulano -, fresh, balsamic sensations on the long finish. Serving suggestions: Crustaceans, oysters, fish eggs, mussels, seaweed and other brackish flavors.